For employees on the moutain, work comes before play. There is nothing merry about working in the ski industry for ski bums during the month of December. The transition from early December to the holidays and the influx of the masses to the mountains means something different to each sector, and realistically very few things are merry as a result of it. Typically, the transition goes from slow operations to "full on" within minutes. One day it feels as though the mountain belongs to only the hard-core locals and resort employees and then the next day it turns into full parking lots and an incessant number of people asking the same question over and over again. Mainly, where is the bathroom? Or: Know of any secret stashes? In the Inland Northwest, the weather can play a huge factor on whether or not visiting skiers and snowboarders will have that epic ski vacation. 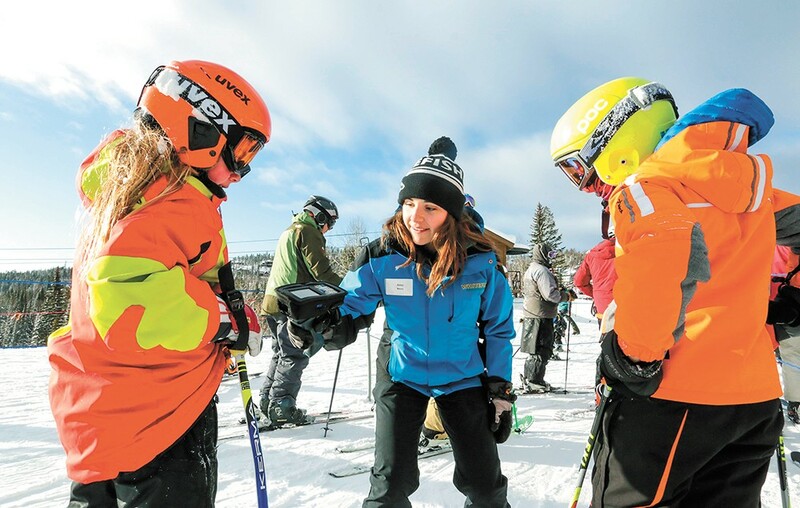 For resort employees, in the perfect world, it will dump about three feet the week leading up to what is affectionately known as "hell week" so the working locals can shred it up and have that perma-grin on their faces to greet the vacationing masses. The perfect world continues when the sky opens up into a high-pressure system for two weeks of sunny skies, allowing the mountain to show off her best side for first-time visitors. For those in the retail environment of the mountain experience, it's something entirely different — pure craziness the weeks leading up to the holiday break. This is when all of the last-minute shopping is in full swing. It feels somewhat like the movie Groundhog Day, as the same conversations are repeated over and over whenever the door opens. Basically, there's chatter about the technical feature in a jacket, the core construction of a pair of skis and talk about being on the mountain but instead being stuck in town, selling ski socks.